I have been asked quite a bit lately whether or not the fishing is good and if we have been catching anything with all the red tide and algae going on right now. The answer to that question is YES. No the water is not ideal, yes i wish it was better, but there is still fish around if you know where to look and bait as well. On my most Fort Myers fishing charters we have been catching Redfish, Snapper, Jacks and even small Tarpon are around. I have strictly been fishing inshore on my fishing charters as there is red tide nearshore as well. Bait is on the flats, some days you have to run to the areas with clean water and then run back to get your bait. Again not ideal but definitely doable. The guides willing to put in the time and effort to make it happen have been rewarded. There is very little boat traffic even on the weekends and the fish when you find them have responded well. 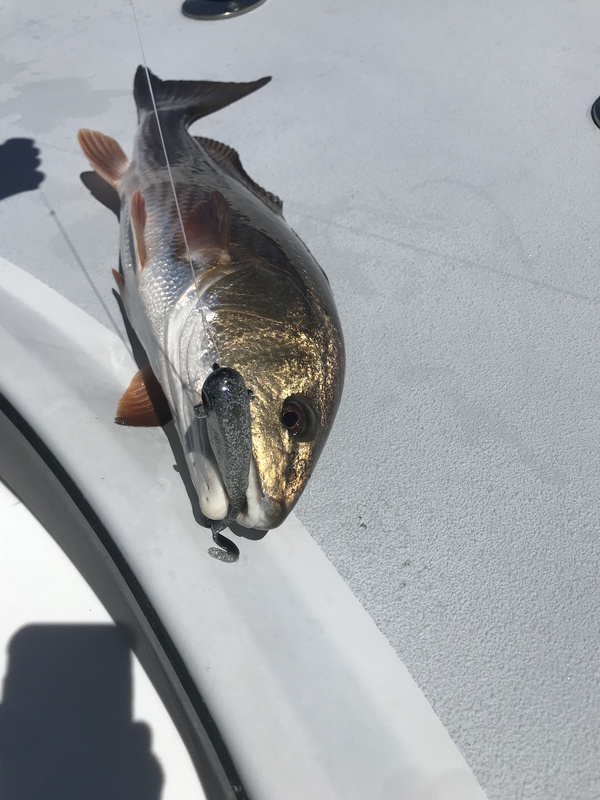 My most recent trip we ran out of bait catching snapper, Redfish and jacks so we switched to artificial lures and continued to catch fish. The moral of the story is call your guide and ask them whats going on and if the trip is possible instead of assuming its a waste and not worth it. This will all pass soon and the fishing will start to rebound, stay positive and keep moving forward!